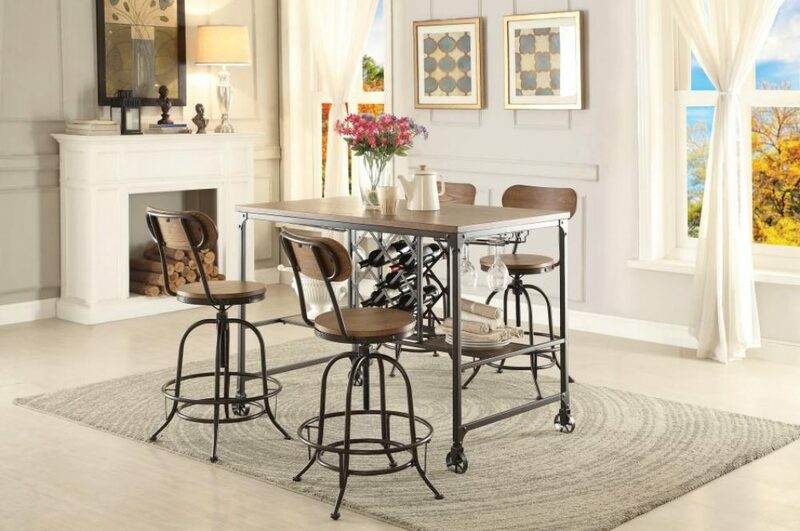 Following the trend of modern industrial inspired design is the Angstrom counter height dining table. Metal framing provides support to the rectangular table with built-in wine rack. Stool and chair sold separately.